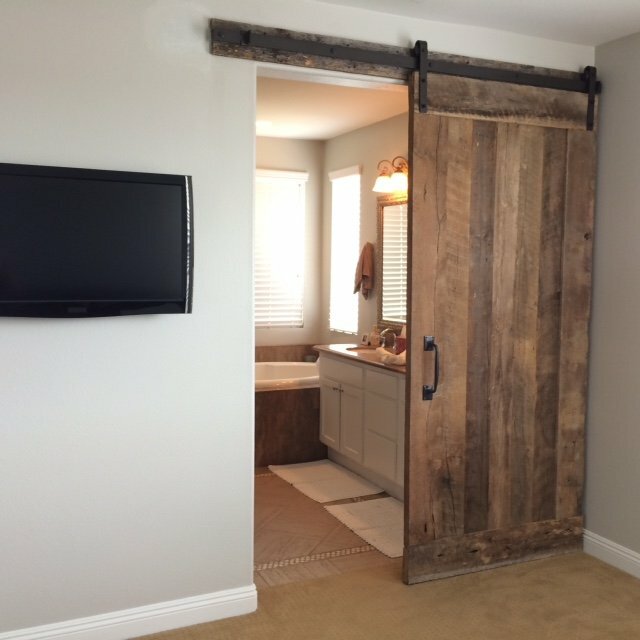 We recently had a barn door custom made by Ben at US Reclaimed. It is pretty large (200+ lbs and about 8' x 4'). It is made with reclaimed wood from US Reclaimed. The reverse has a full-length mirror. It looks amazing! Ben and his wife were very helpful. The only issue was that it took a little longer than anticipated. I believe that is because they were very busy and also because our original mirror broke, so they had to wait for a replacement. Other than that, our experience was great. 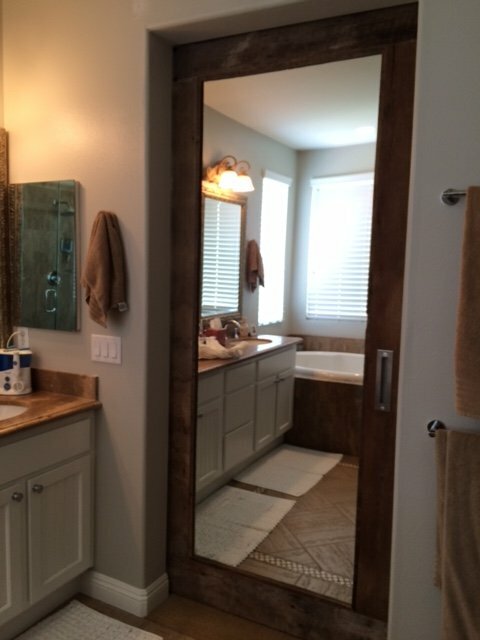 Ben recommended John from Coastal Floors for the install. He also did a great job. I'd recommend US Reclaimed if you are looking for anything involving reclaimed wood.